For those who don’t understand how a large bureaucracy works, this is for you: Before getting elected, some recently elected first-time leaders in some developed countries had no ideas what they were going to be doing if elected, but they had impaneled experts (bureaucratic czars) who had oiled the machine for their first 100 days in office. It was true for Obama, Macron, and Saudi Arabia’s Crown Prince Mohammed bin Salman (MBS). With MBS, he had hired experts from top consulting firms in the world (including but not limited to consultants from Booz Allen Hamilton Inc. and McKinsey & Company), and he continues to house them in the Ritz-Carlton hotel in Riyadh. 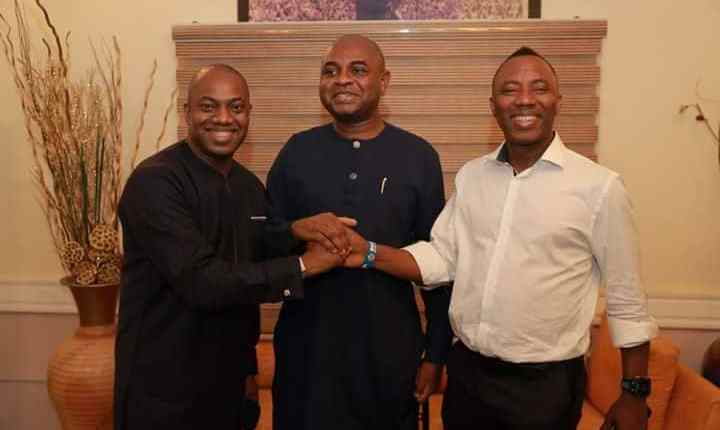 Again, I repeat: Stop saying that Omoyele Sowore, Kingsley Moghalu, Fela Durotoye, et al are not qualified. If you elect one of them as your president, all they have to do is call on top consultants to come up with solid plans (Buhari and Atiku are doing it. Obasanjo does it, too; in fact, he is good at doing that. Recently, I shared with you one of his collaborative articles with another American consultant, did I not)? Because they (Omoyele and his friends) are smart themselves, they can figure out the best solution(s). That is the reality of the world we live in. You didn’t think Atiku wrote his 100-day plan memo by himself, did you? You didn’t think Buhari is the architect of everything, did you? Top consultants (foreign and local) do the heavy lifting, and they plaster the name of their clients on the cover page. That is the reality, World People. If you believe in one of these guys, vote for them.